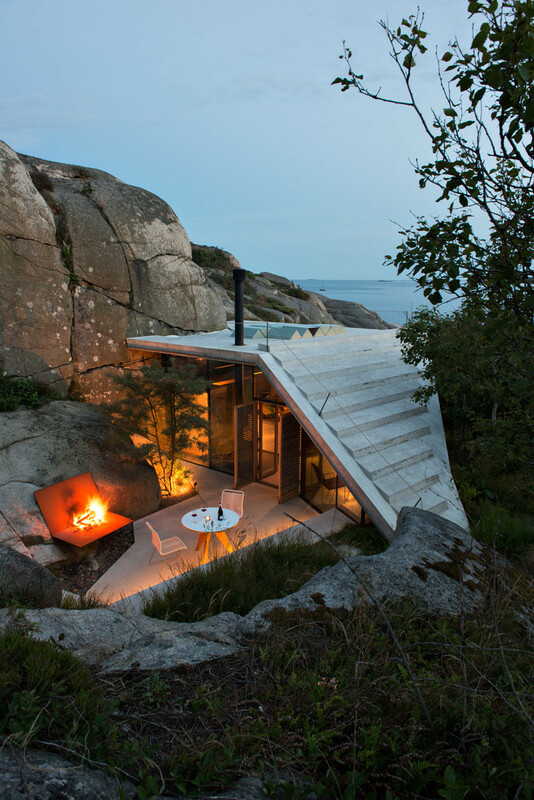 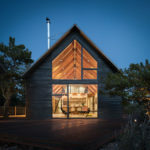 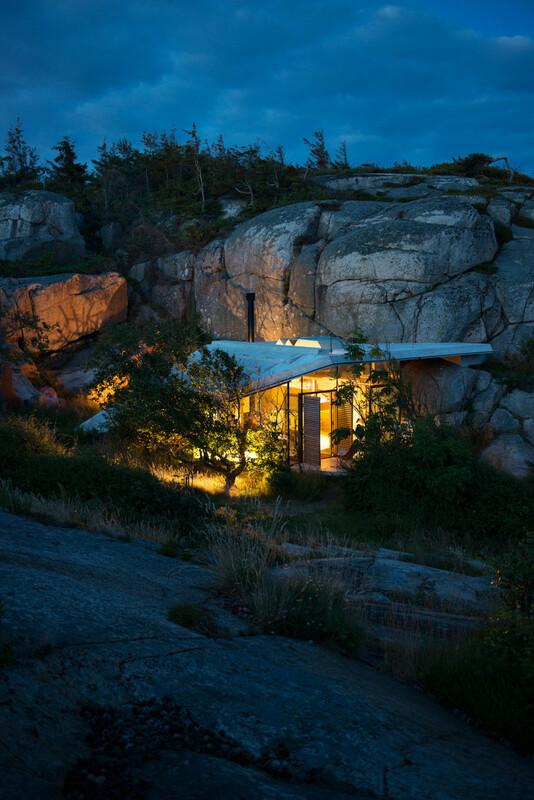 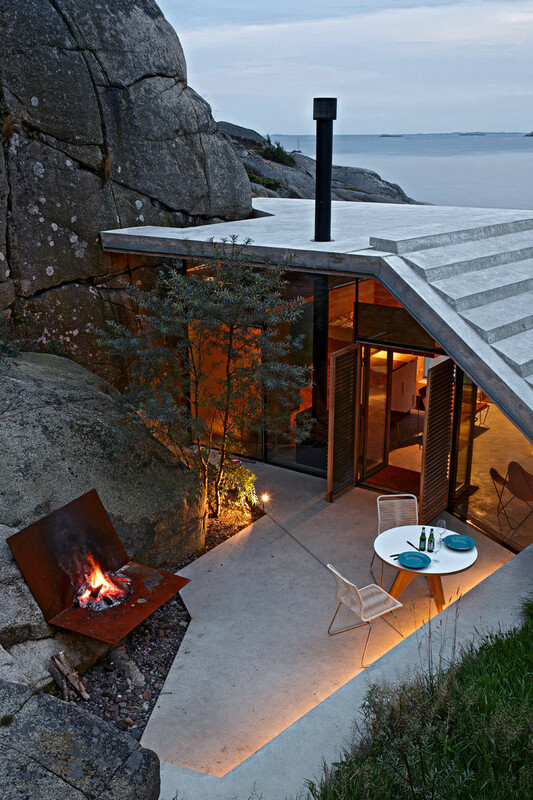 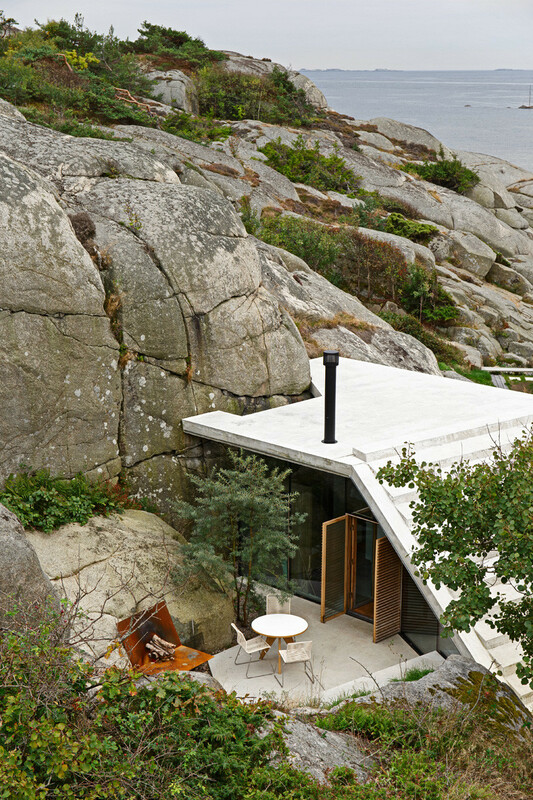 Architecture firm Lund Hagem have designed a small cabin, located in Sandefjord, Norway. 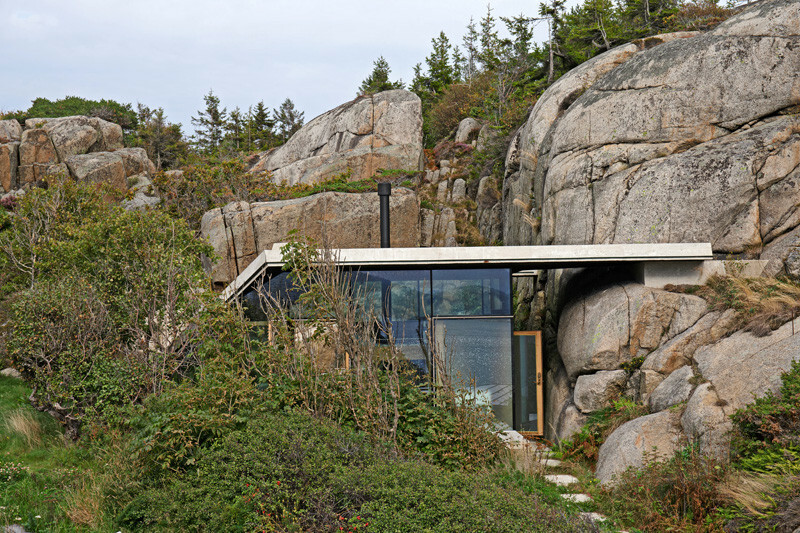 The site was originally home to two small sheds, which have since been replaced by the cabin. 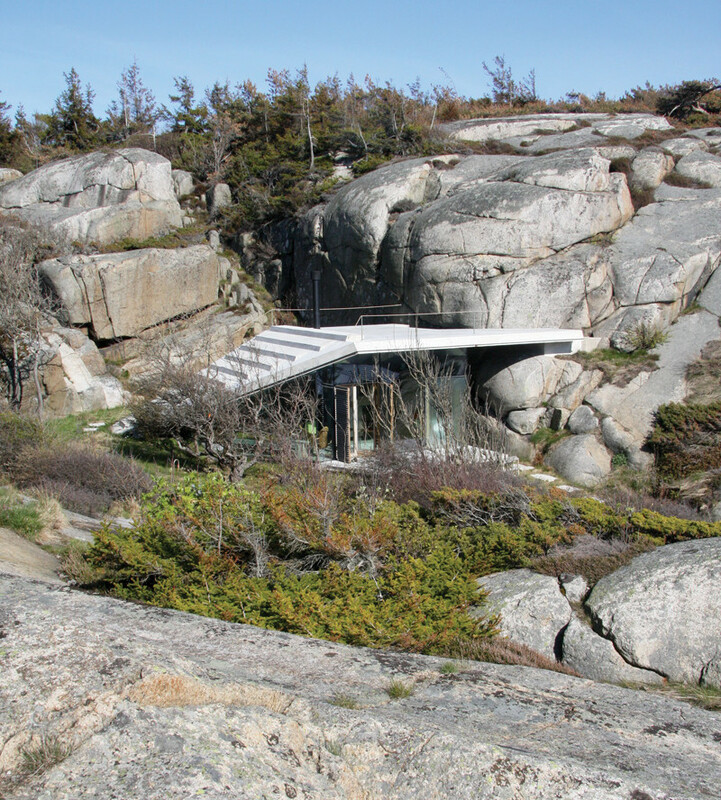 Nestled between large rocks and dense vegetation, the new building has a roof that fits around the shapes of the rocks. 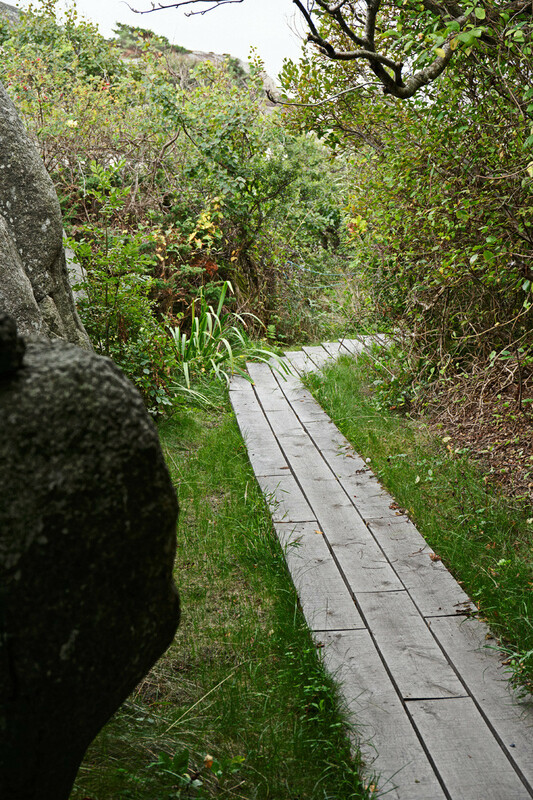 Small pathways provide access to the cabin. 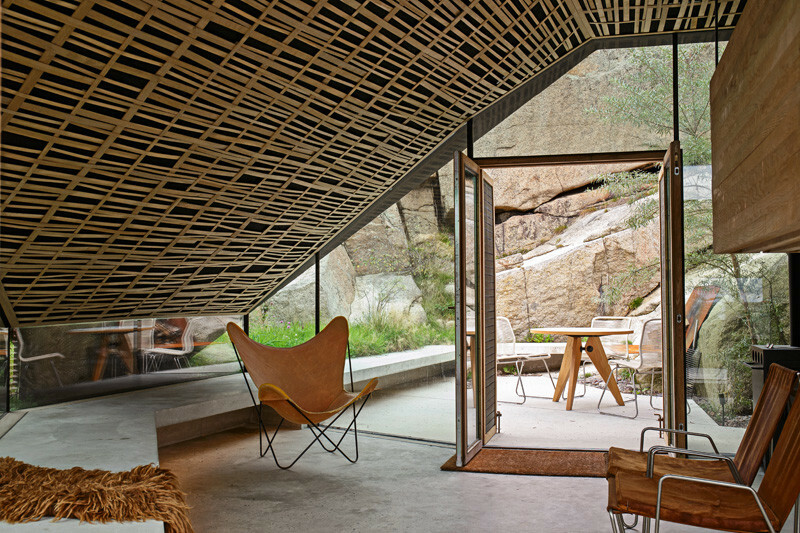 At the rear of the cabin is an outdoor space with table and chairs, and a fireplace. 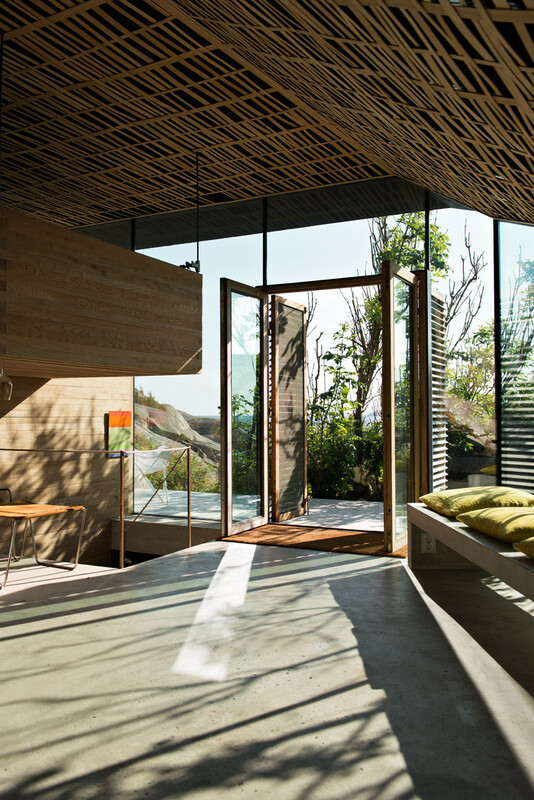 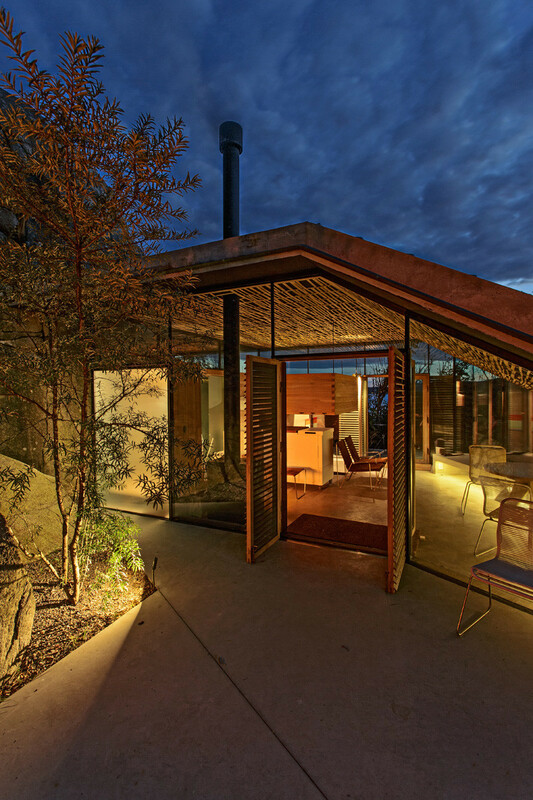 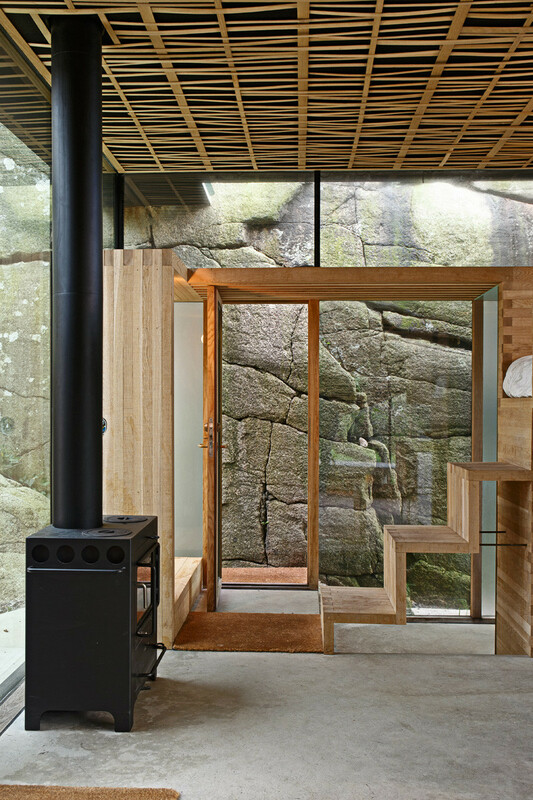 Inside the cabin, glass walls provide views of the surrounding nature. 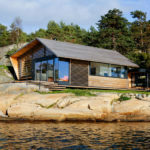 At the front of the cabin, there are water views. 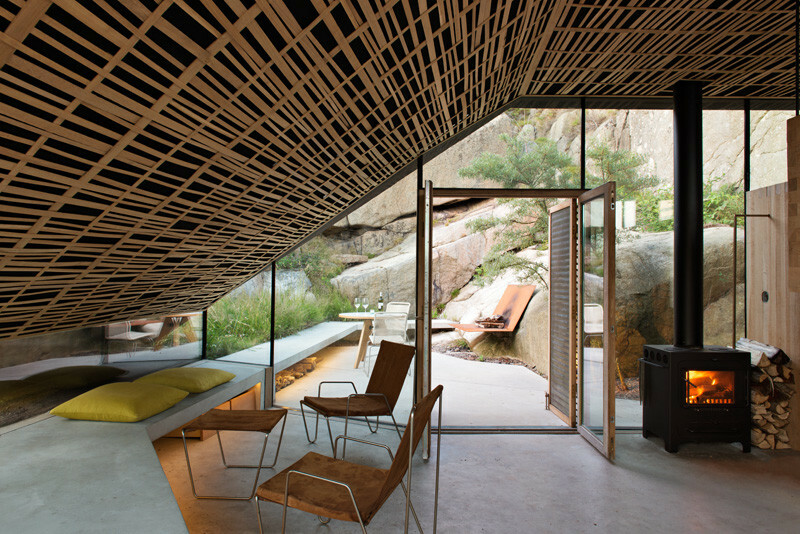 An acoustic ceiling is covered with woven oak strips to mask joints in the panels making it one continuous surface. 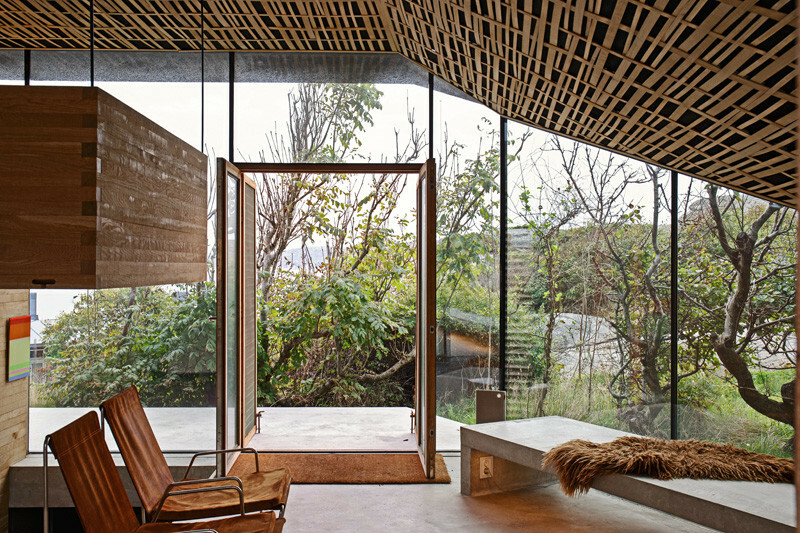 There is another fireplace inside the small living space. 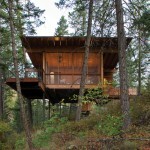 The cabin also has a suspended bed, and a bathroom. 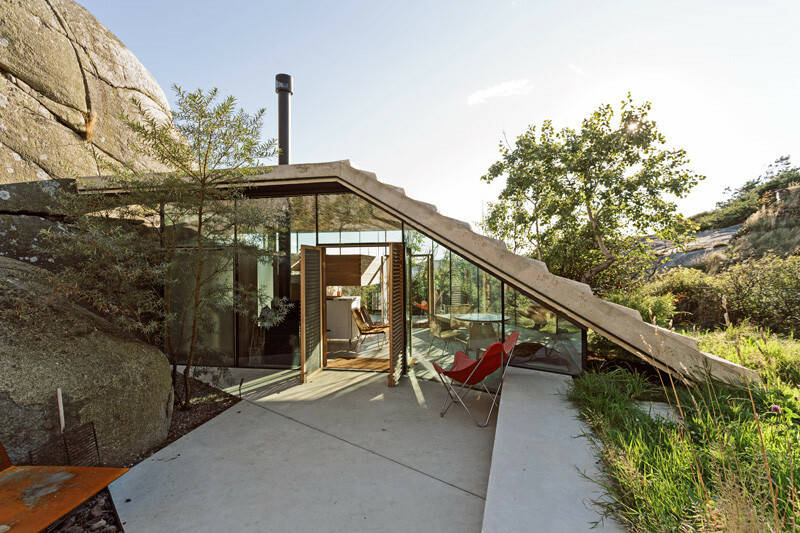 A custom concrete bench flows from the inside to the outside. 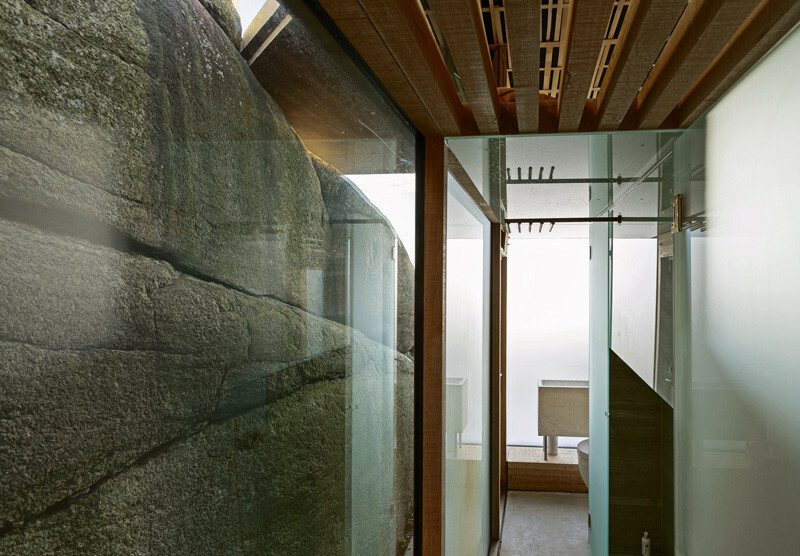 A hallway lined with glass, leads you to the bathroom. 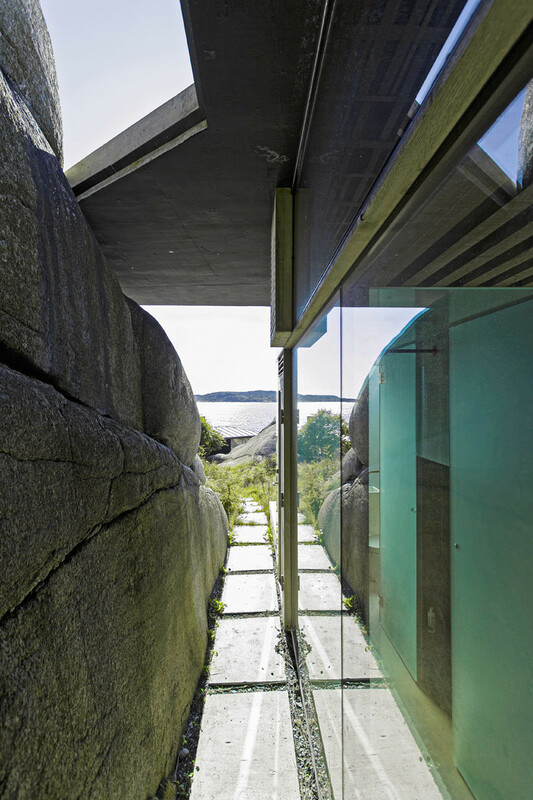 A small path has been added between the window and the rock.